Last season, a reality show star signed for a non-league club, and it has now happened again. While Mark Wright’s move to Thurrock FC didn’t work out, Frickley Athletic will be hoping their TV personality will be more of a success on the pitch than on the screens! 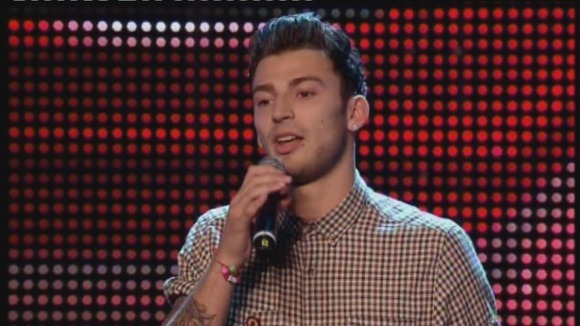 X-Factor contestant Jake Quickenden, who has made it to the Judge’s Homes stage of ITV singing competition The X-Factor, has signed for the Northern Premier League side after being invited along to training by his friend, Athletic defender Tom Johnston. Twenty three year old Quickenden should be available for selection for this weekend’s FA Trophy match with North Ferriby United. Frickley manager Karl Rose will be hoping the forward doesn’t do too well on the show, though, as that would mean losing him again! Posted on September 26, 2012, in UTL Archive and tagged Frickley Athletic, Jake Quickenden, Northern Premier League. Bookmark the permalink. Leave a comment.